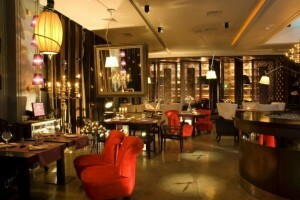 The Cosmopolitan Bar is part of the Hotel Kazakhstan and is very popular during the weekdays as well as the weekends. It offers a variety of music, including bands and guest DJs, and it often has live music during the week as well. Hotel Kazakhstan is the hotel in which the Cosmopolitan Bar is located in.